Mizuho, Tsubame, Sakura are the names of Kyusyu Shinkansen, it is extended to Kagoshima from Osaka directory on March 12th. So, It might add an opportunity to visit Yaku Island, which is the world nature heritage of UNESCO. I visited there 2003, and enjoy trekking and swimming among such a beautiful atmosphere. One of the most beautiful places in Japan. and also you can see the unforgettable sunset from the beach which is the egg-laying site of sea tattles. It takes almost one day by Shinkansen (Japanese bullet train) and the ferry from Kagoshima. 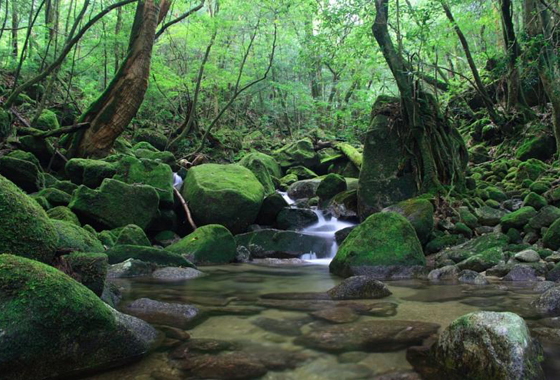 Take a local train or taxi to the ferry terminal to Yakushima. Please ask the staff when you come to HOSTEL 64 Osaka.